Second, the couple may not have any minor children together. This includes any biological or adopted children who are under 18 years of age. Along those same lines, the wife must not be pregnant or the first requirement cannot be met. Third, at least one party to the simplified divorce must have resided in Florida for the 6 months immediately preceding the filing of the petition for divorce. This requirement is met because the show also requires the couples to be residents of state where the show is being filmed. Season 4 was in Miami, Florida, thus each participant must have been a resident of Florida. Fourth, the parties must have made provisions for the division of the marital assets and debts within their divorce agreement including any support for one spouse from the other spouse. Once the divorce is final, neither spouse has a right to support from the other spouse unless the divorce agreement states otherwise. As the couples on the show are complete strangers when they wed and may only be married for 8 weeks, division of assets and debts is likely not a big issue for the couples. The couples discuss their finances with one another but it seems that few actually commingle their funds and even less acquire any marital debt. Finally, and most importantly, both parties must sign the petition for the simplified divorce and all other paperwork needed to comply with the procedures for a simplified divorce. A court will not finalize a simplified divorce if both parties have not signed all of the necessary documents. The couple must also appear together before the court in order for the judge to make the divorce agreement official. Just a side note, on some of the seasons of the show, the wives will legally change their last names to that of their husband’s. When this occurs, the ladies can legally change their names back to their maiden name in the divorce agreement. 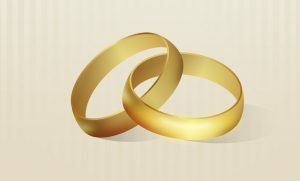 The couple from Season 4, or any other Florida couple, can be fully divorced within 1 calendar month. Florida requires that only 20 days pass from the date of filing the petition for divorce to the date the court holds the hearing for the divorce and enters the couple’s divorce agreement. As indicated by its name, a simplified divorce is merely simpler than a traditional divorce. Based in Jacksonville, Florida – Wood, Atter & Wolf, P.A. is a Florida law firm that has been serving clients in a variety of practice areas including family law since 1957. When a person needs a family law attorney, it is often at a very stressful time in life. As such, it is helpful to have a family law attorney in place who understands the law as well as the emotional tolls that a family law case can have on the parties, children, family members, extended family members, and others. At Wood, Atter & Wolf, P.A. the attorneys proudly are On Your Side – At Your Side. If you need legal advice and representation regarding a Florida family law matter, contact Wood, Atter & Wolf, P.A. (904) 355-8888 for a consultation. You can also visit our website at Wood, Atter & Wolf, P.A. and complete the contact form to set up a consultation.